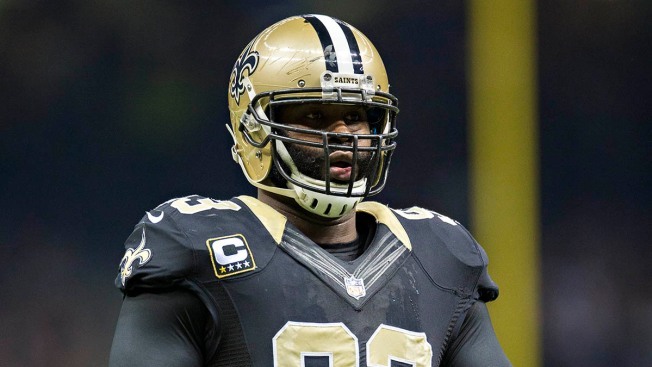 Washington linebacker Junior Galette injured his left ankle in the final minutes of Wednesday's practice. Coach Jay Gruden said he was worried about the situation. The Redskins were having Galette's ankle checked when Gruden met with reporters after practice, and the coach wasn't happy with the situation. Gruden said there was a “big chance” that Galette would not play in Saturday's preseason game against the Ravens. Galette had talked on Tuesday about how excited he was that the Baltimore game would be his first time on the field this preseason. The latest injury just continues what's already been an injury-filled preseason for the Redskins. Four Washington players already have suffered season-ending injuries this summer, and the Redskins are hoping Galette doesn't add to that total. Galette's teammates were disappointed for the linebacker. And although most of them did not see what happened, they are hoping for good news. Backup quarterback Kirk Cousins expressed similar thoughts, hoping the situation's not too bad. In other injury news, Gruden confirmed that safety Akeem Davis (hamstring) and defensive end Frank Kearse (shoulder) will not play Saturday. Gruden also added defensive end Corey Crawford (Achilles strain) to that list. Gruden said linebacker Ryan Kerrigan (arthroscopic knee surgery) has been practicing well and probably could have played last week -- and this week. But Gruden and the training staff will make the decision about Kerrigan playing against Baltimore later in the week. He also has yet to play this preseason.